Antarctica. The last great wilderness. The Great White South. The southern end of the earth. No matter how you refer to it, a trip to this icy continent is an incredible experience. While for some holidays you can get away with packing the week before you leave, or just throwing a pile of barely-thought-about clothes into a suitcase, an expedition to Antarctica calls for a fairly unique packing list. 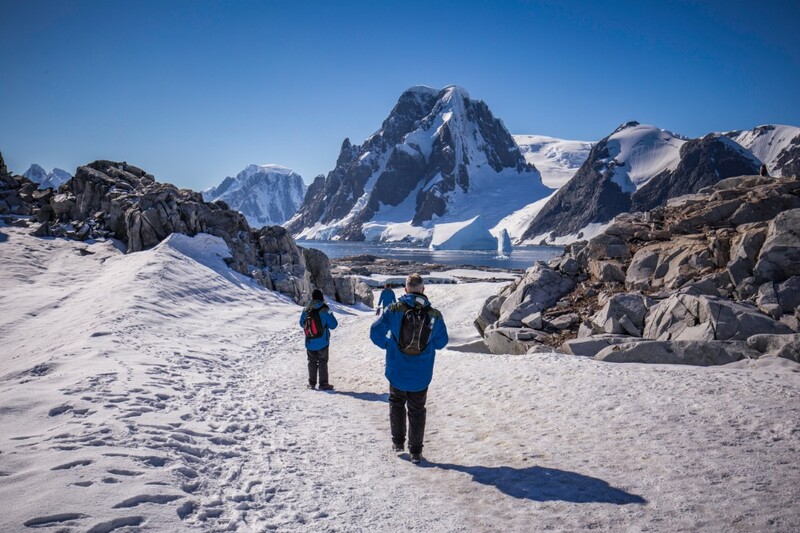 So, to help you get organised for your polar voyage, here are our top packing tips for an Antarctic adventure. Most ships will provide jackets. It might sound obvious, but a single warm coat won’t be enough to keep you comfortable in Antarctic temperatures. Instead of packing bulky jumpers, it’s better to pack clever layers, including some thermals. 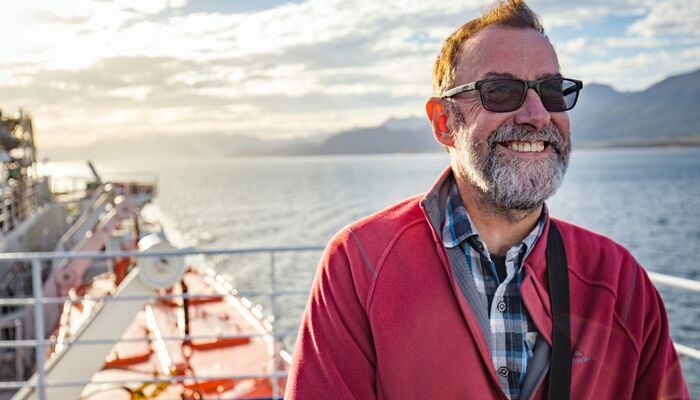 Aside from taking up less room in your suitcase, the temperature onboard the ship will be nice and warm, so you’ll want to have a few short sleeve options for when you’re inside. 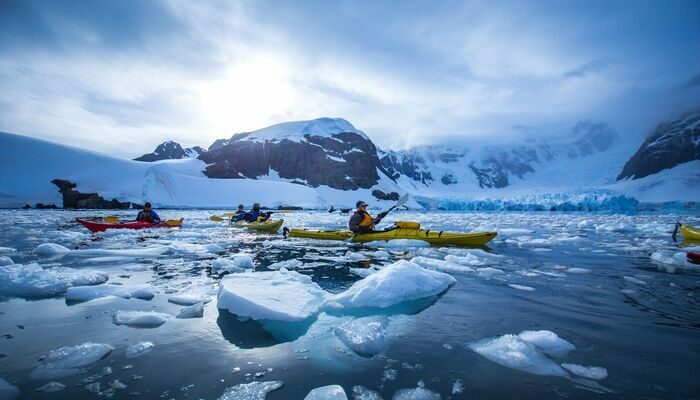 While your ship will likely provide boots and waterproof jackets, it’s a good idea to also take along some waterproof snow pants for when you embark on shore excursions, as getting in and out of zodiacs may sometimes mean you’re not entirely dry. If there’s one item you should overpack, it’s socks. It’s a good idea to have a range of both thin and thick thermal socks, as the thick socks will be a necessity when you’re outdoors (but they take a long time to dry if they get wet), whereas the thinner socks will be sufficient for when you’re inside on the ship. 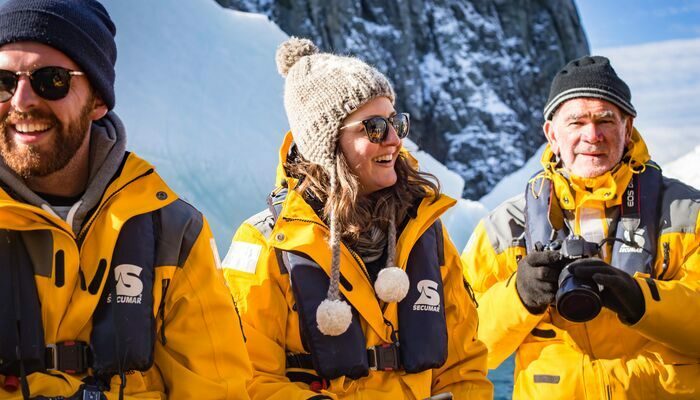 Similarly, a pair of waterproof gloves for shore excursions is a great idea, whereas normal, warm gloves will probably do the trick if you’re standing on deck trying to spot penguins or admiring the scenery. When you are standing up on deck it can get pretty windy, so make sure you have a beanie to keep your head warm, but is also tight enough that it won’t fly off in a gale. As any avid skier will know, just because you’re at the snow not the beach, it doesn’t mean you won’t get burned by the sun. Because of the vast expanses of white landscape and water, the sun actually reflects off these surfaces making the chances of getting burned quite high. So, don’t forget sunscreen and sunglasses with UV protection. When you’re travelling somewhere as remote as Antarctica, there won’t be any opportunities for stopping at a foreign pharmacy once you embark – so make sure you think ahead and pack any regular medications you require, as well as a few preventative measures such as seasickness tablets, cold and flu tablets, and some paracetamol or basic painkillers – just in case. Your ship may stock some basics, but it’s not a floating pharmacy so you’ll need to be prepared. Always check with a doctor before you travel if you have any specific health concerns. The cold, dry weather in Antarctica can dehydrate your skin and lips, so a tube of moisturiser and some lip balm (preferably with SPF in it) will be a lifesaver for you. A notebook and pen to take notes, write down memories or musings you have about your journey. There will be so much to see and remember, you don’t want to forget the highlights when you go home and show your friends and family all your amazing photos. Stay dry while kayaking by being prepared. Ear plugs. If you consider yourself a light sleeper, the noise of the ship, wind or even your cabin mate might keep you awake, so ear plugs are a good idea. 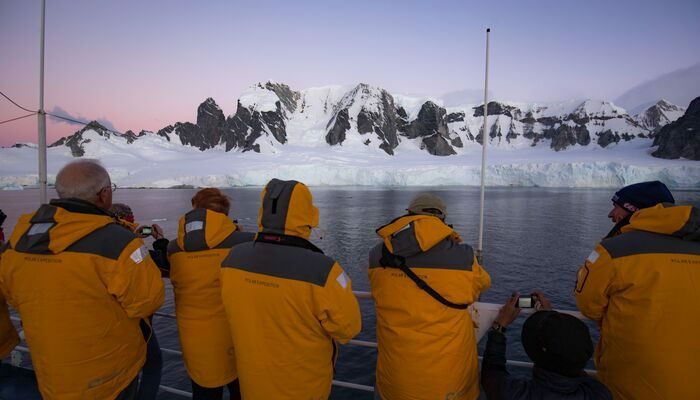 Do you want to experience the magic of Antarctica for yourself? Book a voyage with Peregrine today.